JCC Palistage Theater, NJ, U.S.A.
Uncle Henry’s songs are designed to teach common words and phrases, ideal as a teaching tool for children of all ages, especially those who study English as a second language. The easy-to-pick-up melodies are sure to be hummed and sung by both children and adults alike, meaning that learning is achieved both naturally and enjoyably. 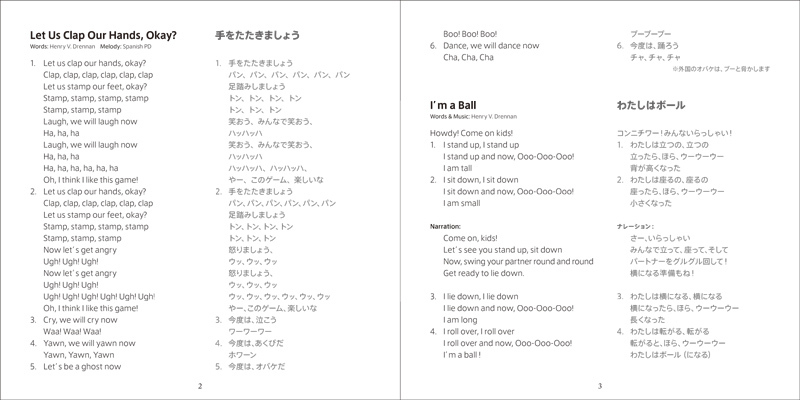 The majority of melodies are taken from Japanese and international traditional children’s songs, which will be instantly recognizable when you hear them! But can you sing them in English, in the unique Uncle Henry way…? Simple words and simple melodies captivate children from the very first second. The songs are sung by a talented team of 43 American child singers, many of whom have even performed on Broadway! Please note that this product features fresh new packaging and bilingual booklet design, but the music is unchanged from the original version (2003). 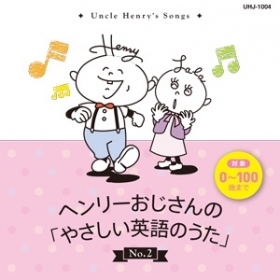 The Uncle Henry CDs are perfect for children of all ages (or even while still in the womb! ), and adults too! Let Us Clap Our Hands, Okay? Yeah! Baby! 2×11 is Tewnty-Two!